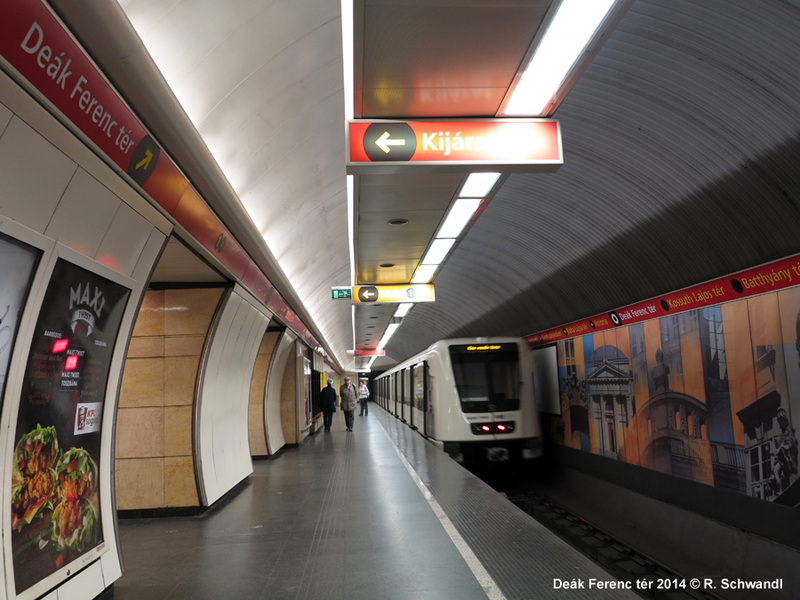 Budapest's east-west metro line connects the city's two major railway stations, Déli pályaudvar (South station) and Keleti pályaudvar (East station). 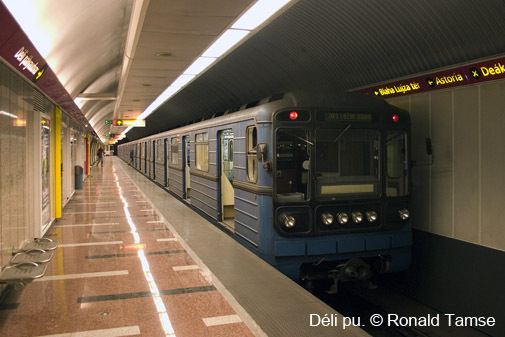 Line M2 runs on the surface between Pillangó utca and the eastern terminus Örs vezér tere. 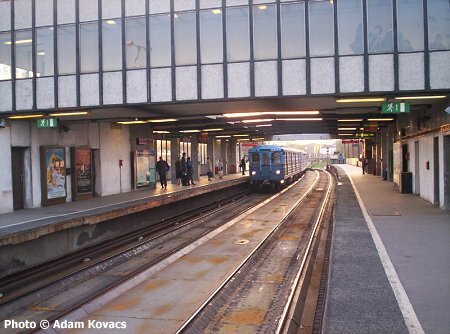 Although construction had started already in the 1950s, this line was only opened between 1970 (Deák Ferenc tér - Örs vezér tere) and 1972 (Deák Ferenc tér - Déli pu.). 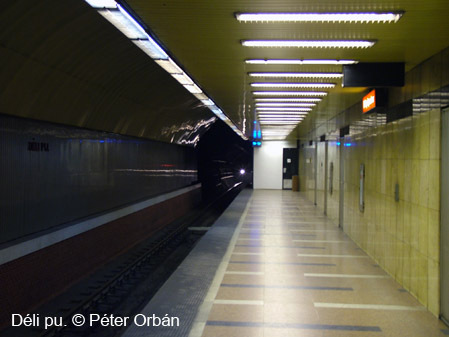 It was built at a significant depth between Déli pályaudvar and Keleti pályaudvar. 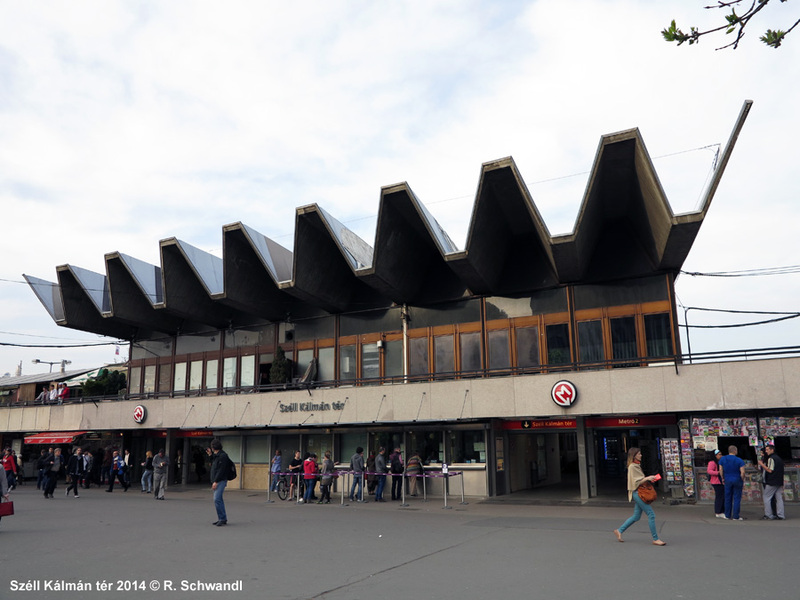 The only sub-surface station is P. F. Stadion. 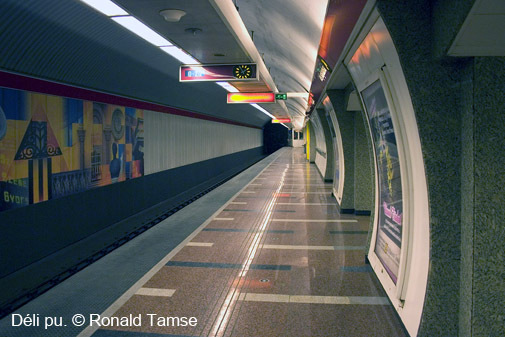 All deep-level stations are of the 3-tube type except Astoria, Kossuth Lajos tér, Batthyány tér, which have a 5-tube lyaout (referred to as Budapest-type station). 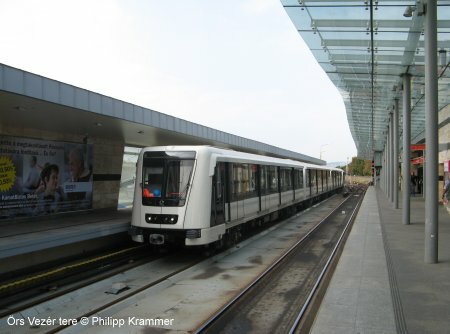 Originally the line was planned to run from Déli pályaudvar to Stadion, and without Astoria station. 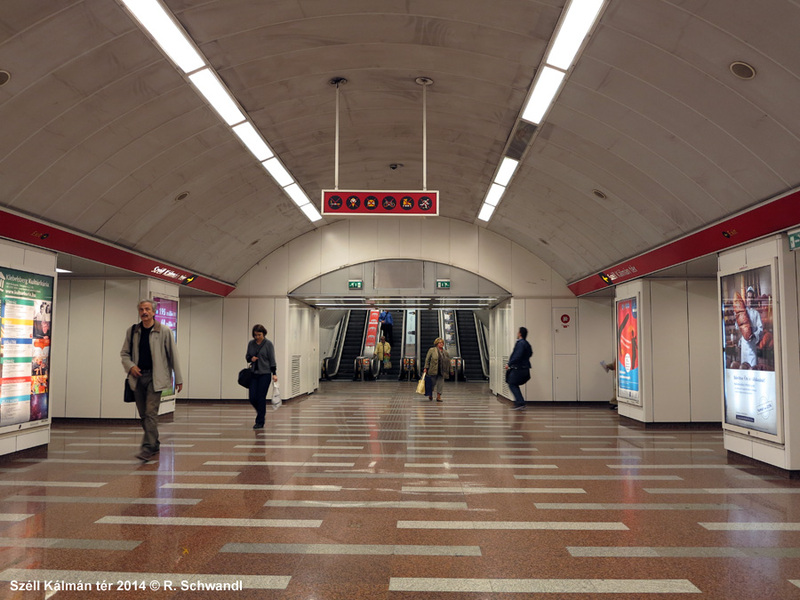 The stations were to be built in Moscow metro style with statues and decorations. There are 4 tracks at Stadion. Two tracks for the metro in the middle, and two tracks for the Gödöllõi HÉV suburban line according to the original plans. 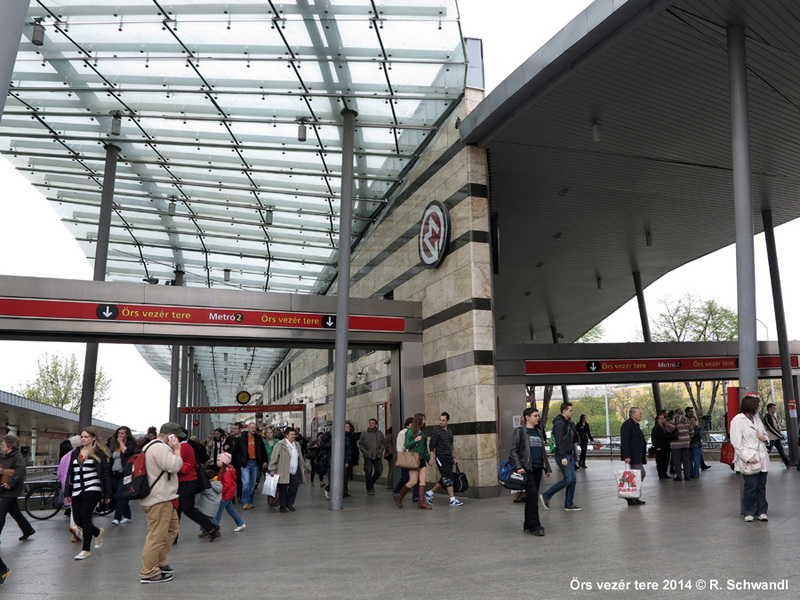 Originally, the tracks were to be built also to Örs vezér tere because of the depot, but without stations. In 1954 the construction was ordered to stop by Nagy Imre (the prime minister of Hungary in the 1956 revolutions) because of a lack of money. The construction was only resumed in 1962. National Theatre of Budapest was destroyed supposedly due to damages caused by metro construction. 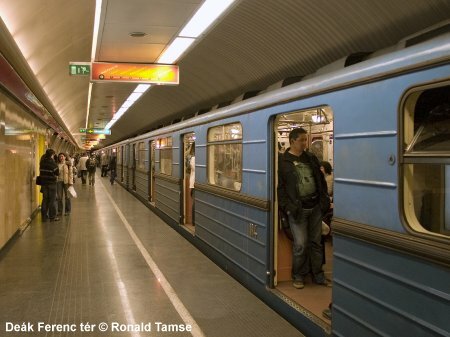 Eventually the initial plans were changed to build the line all the way to Örs vezér tere and add Astoria station. 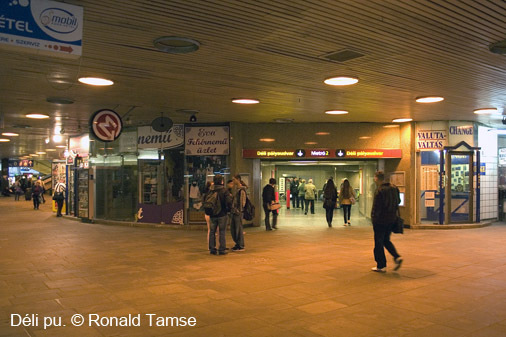 Pillangó utca station was only included in the plans in 1966. There was a test track at Népliget, between Vajda Péter street and Üllõi road (600 m). There were two Hungarian trains (Ganz P) built for this track in 1953. 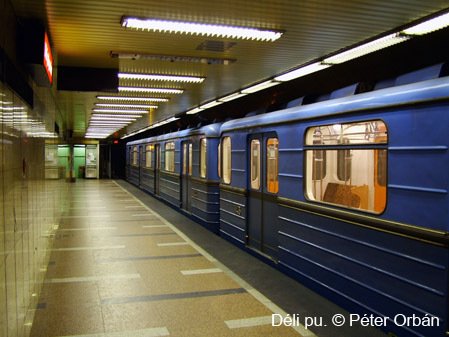 These trains were similar to soviet D type trains, colored cherry red and white. They were scrapped in 1972. In 2000 Russia gave two metro sets of type 81-717m because of the Russian debt. In autumn 2003, M2 started to undergo total refurbishing. In 2003 there were rail reconstructions between Örs vezér tere and P. F. Stadion. 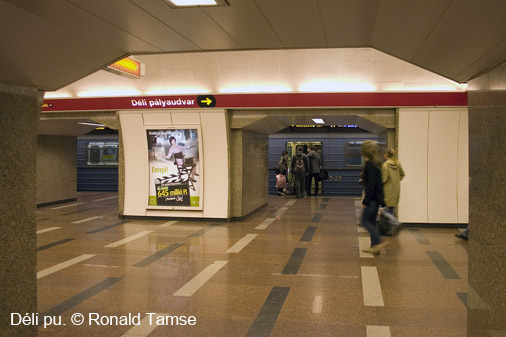 The following stations were completed refurbished and all now boast a white-red look: 2004 - Blaha Lujza tér and Kossuth Lajos tér; 2005 - Batthány tér, Astoria, Keleti pályaudvar; 2006 - Déli pályaudvar, Széll Kálmán tér, Deák Ferenc tér; 2007 - Örs vezér tere, Pillangó utca, P. F. Stadion. 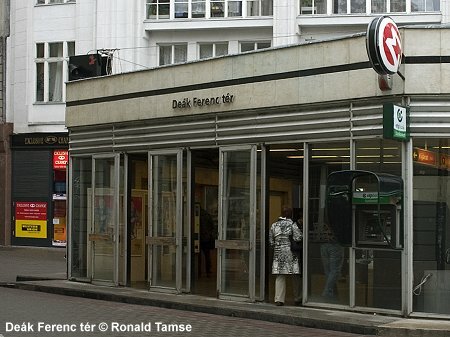 At Keleti pályaudvar a second entrance was built, because due to the construction of metro line M4 the original entrance had to be closed. 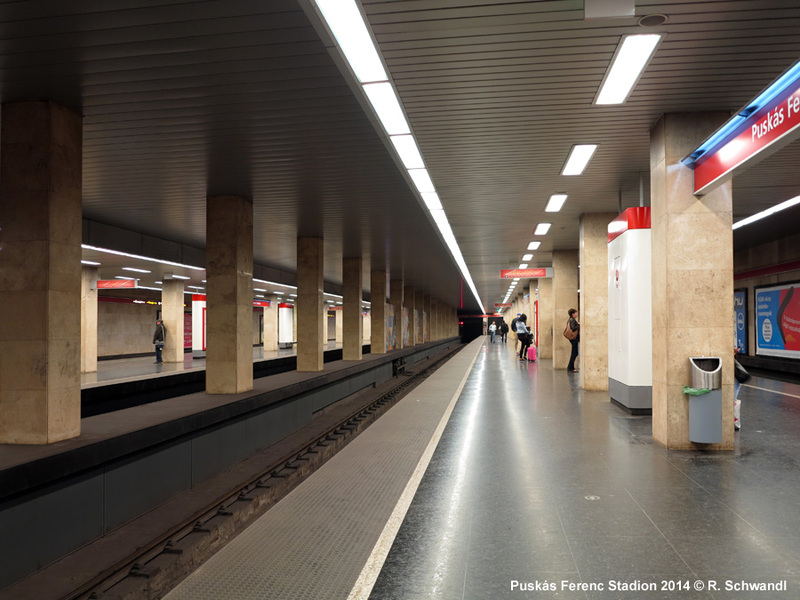 It was planned to add lifts at every station but these were only retrofitted at Pillangó utca and P. F. Stadion. 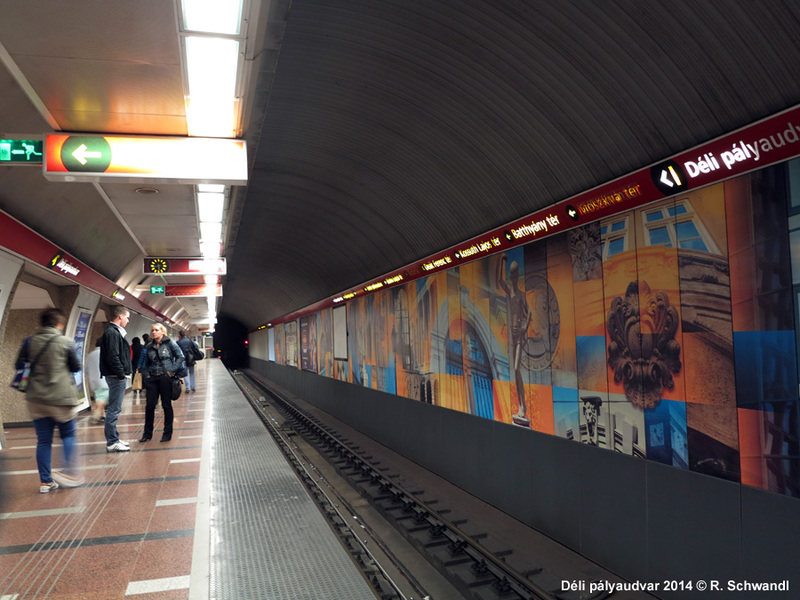 At Keleti pályaudvar there is a mini museum of metro construction.